LVIV, Ukraine — They were driven out of their homes, communities and traditional ways of life by a vicious war machine with genocidal ambitions. These Jews headed east and west, north and south, surviving that most terrible of tragedies. Then they rose from the ashes, their numbers greatly reduced, in a cultural renaissance that brought them together again. But their Jewish revival didn’t take place in Israel, but in eastern Europe — on the same soil which their grandparents and great-grandparents trod decades before in Tsarist Russia’s Pale of Settlement. They gathered in the erstwhile heartland of eastern European Jewry, in what was once called Lemberg, and then Lvov — the capital of what was once Galicia. Today, it is Lviv, a thriving Ukrainian city of over 725,000 where trendy cafes and sushi joints line picturesque streets flanked by Austro-Hungarian architecture. It is so close to Poland’s border that Polish is well-understood here. Catholic churches can be spotted throughout the city (most of Ukraine, like Russia, is Orthodox), which has a distinct classical European ambiance. We are walking as a group organized by the Russian-speaking arm of international Jewish informal education program, Limmud, to sites related to Jewish history in the city. We are told that Lviv, which has changed hands several times, has always been this patriotic — but that in 1939, it was just as proud to be Polish as it is to be Ukrainian today. Part of Ukraine since 1945, Lviv is hardly immune to the trouble brewing to the east, nor to the echoes of what is known here as “Maidan” — a series of pro-European rallies that turned into violent clashes between civilians and pro-government mercenaries. It is a deeply nationalistic city, boasting patriotic graffiti on its walls — and in its gift shops, toilet paper rolls and doormats emblazoned with the unmistakable outline of Russian President Vladimir Putin’s face, as well as that of Ukraine’s impeached former president, Viktor Yanukovych, who fled Kiev for Russia in February 2014. “When you can laugh at something, it’s halfway to victory,” our interpreter says of the unconventional souvenirs. But in Lviv, Ukraine’s rekindled patriotism also takes more controversial forms, too. In the markets and streets of the city, the name and face of nationalist anti-Soviet leader Stepan Bandera — a highly contested figure under whose leadership Ukrainian nationalists collaborated with the Nazis — is ubiquitous as a symbol of self-rule, independence and national rebirth. Then there are the city’s Jews, numbering just over a thousand. On the eve of World War II, there were between 130,000 and 150,000 — a third of the city’s population, then dominated by Poles. Then came the war, and the Soviets, and decades later, the opportunity to emigrate to Israel and elsewhere. And unlike Krakow, where the revival of Jewish culture and klezmer music has long since transcended communal boundaries, in Lviv, it’s difficult to feel the Jewish presence — unless Limmud is in town, that is. This year, for one sunny autumn weekend in November, hundreds of Russian-speaking Jews flocked to this crossroads of east and west, of Europe and Russia, for a weekend of Jewish learning, music, schmoozing, and noshing (on gefilte fish, what else?). It was the 40th conference organized by Limmud FSU (an acronym for the states comprising the former Soviet Union), and the seventh in Ukraine itself. Limmud, meaning “study” or “learning” in Hebrew, was founded in the UK as an open platform for promoting all forms of Jewish learning in the country. Since 1980, Limmud UK has spearheaded dozens of annual conferences and related events, and the model has spread beyond Britain to the United States, Israel and even Peru and India. Since 2006, it has existed in the FSU states as well, under the leadership of Chaim Chesler — an Israeli activist who joined the struggle of Soviet Jews to immigrate to Israel, and in 1993 became the head of the Jewish Agency’s delegation to the region. Magnetic and energetic, Chesler seems at times like a force of nature. Since the 1980s, he has dedicated much of his life to helping former Soviet Jews — first in their efforts to leave the Soviet Union, then in their immigration to Israel. But he hasn’t forgotten those Jews who remained in Russia, Ukraine, Moldova, and Belarus, as well as those who emigrated from the area and are still searching for a sense of community in their new homes. It was for their benefit that, in 2006, he co-founded Limmud FSU. Jews from the former Soviet Union number well over a million in Israel alone. They often struggle, like many immigrants, to retain their unique cultural attributes while integrating and being accepted by mainstream society as equals. But at Limmud FSU, these Jews are the mainstream. The conferences take place in various eastern European cities — as well as hubs in Israel, the US and Canada in which large populations of FSU Jews reside. Conferences are volunteer driven, and these volunteers are just as crucial to the realization of Limmud FSU’s goals as the events themselves: They are the next generation of Jewish leadership in areas where often it has been left to Chabad emissaries to preserve, and revive, Jewish life. Lviv is uniquely placed to host this latest Limmud conference (the next one will take place in St. Petersburg next week), held in a hotel overlooking a beautiful park blanketed by yellowing autumn leaves. Participants are charged just $70 — volunteers even less — for the entire four-day duration of the conference, which includes rooms and kosher food. Limmud UK, by contrast, can cost as much as £660 for a double-occupancy hotel room. The stark price difference is rooted in Limmud FSU’s philosophy of making every effort to encourage participation. News of the conferences travels by word of mouth — including to Jews who previously didn’t count other Jews among their social circles — and a dedicated community numbering hundreds of Jews is formed. Some die-hard Limmud aficionados even invest time and money to travel to conferences very far from home (in Lviv, for example, there were Canadians, Americans and Israelis in attendance). This month, a whopping 700 people registered to attend the Lviv edition of Limmud, but there wasn’t enough room for them all. The lectures — some delivered by eminent scholars and ambassadors, none of whom were paid — centered on topics ranging from the Israeli-Palestinian conflict and aliyah to Yiddishkeit and Ashkenazi cuisine. The Jewish history of the region — from the urban Jewish culture of pre-World War II Odessa to the lost rural charm of the shtetl, from the Holocaust to redefining Judaism in what was once the cradle of its culture in eastern Europe — also featured heavily in the program. For these resilient communities, the Holocaust and the war are ever-present. Building a Jewish future in Ukraine is predicated on a return to the last point in history where Jewish life flourished here — a return to Odessa, to the sthtel, to the common denominator of Galicia. But that is not to say that Jewish life has not survived here. This region of western Ukraine — the birthplace of modern hassidism — is still home to a sizable hassidic Jewish community. Orthodox Judaism, however, holds little appeal for the area’s secular Jews. That is why Limmud FSU seeks to unite them around something else: a revived, inclusive Jewish culture that can be shared by bearded rabbis and secular youths alike. It is no coincidence, therefore, that senior Russian Chabad rabbi Boruch Gorin was seen in Lviv alongside national religious professors from Israel, secular young families and two identical-twin models from Moldova. 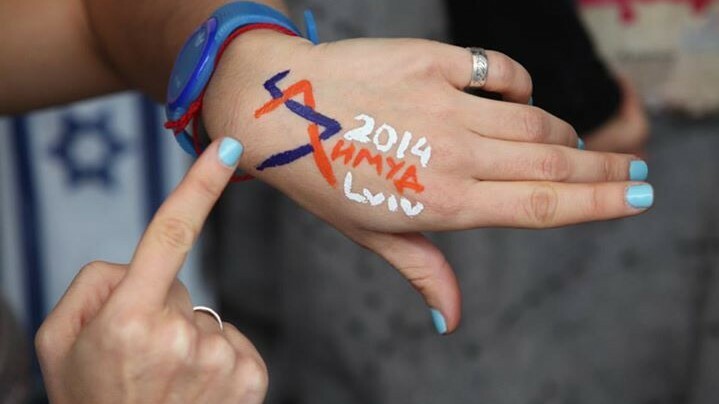 In fact, according to Chesler, Limmud FSU is a lot more than a conference, more than a community, even. It is also about living history and influencing its course. Chesler is well aware of the historical significance of Galicia, which he describes as a “wellspring” of Jewish culture. It is in this place that he has helped two families, whose individual histories are woven into the tapestry that is eastern European Jewry, come to term with their pasts, tell their stories, and lay the foundations for a Ukrainian future that is more actively engaged with its past. The first story Limmud Lviv cast the spotlight on was that of Holocaust survivor Krystyna Chiger (Keren), whose hiding place in the sewers under the city inspired the Oscar-nominated film “In Darkness.” The second was that of Fania Oz-Salzberger, the daughter of celebrated Israeli author Amos Oz. Oz-Salzberger’s mother Fania Mussman was a native of Rivne, Ukraine whose story inspired Oz’s novel “A Tale of Love and Darkness” — now being made into a feature film by Israeli-born actress Natalie Portman, who will also play Mussman herself. One of the highlights of the conference was a session in which Chiger, by Skype from her Long Island home (video), told her tale of living for 14 months in Lviv’s sewage system. It was her loving parents — an assimilated, Polish-speaking young couple — who helped her and her 3-year-old brother Pavel (who survived the Holocaust, but died in an Israeli army accident in 1979) survive the ordeal. The family, along with six others, was aided by a Polish sewage worker and deeply devout ex-convict named Leopold Socha, who was initially paid by Chiger’s father. But well after the money ran out, Socha continued to aid the subterranean Jews — by bringing them food, books and Shabbat candles, and spiriting them away to safety whenever danger reared its head. He hoped that his good deeds would redeem him before God. As Chiger, a retired dentist whose children and grandchildren live in Israel, told her story, Chesler announced that the city’s newly-elected mayor, popular Self Reliance party leader Andriy Sadovyi, had agreed to install a plaque at the site in which the ten bedraggled Jews finally emerged from the sewers in 1944, after the city was liberated. For Oz-Salzberger, Limmud provided an opportunity to come full circle and retrace the footsteps her grandmother, Mussman, made before making aliyah in 1939. Though the move likely saved her life (over 20,000 of Rivne’s Jews were summarily gunned down in a forest just outside the city), she suffered from depression in Israel, and would eventually commit suicide at the age of 38, when her only son, Amos, was just twelve years old. On Monday Oz-Salzberger, along with Rivne Mayor Volodymyr Khomko and Jewish community leader Gennady Frayerman, unveiled a plaque outside what was once her family’s home, not far from Lviv. Speaking to the Jewish community in Rivne, which she described as a microcosm of Galician history, Oz-Salzberger, a historian at Haifa University, said she knew very little about her grandmother while growing up. “I knew only that she died a tragic death, as a young woman. That grief killed her, and that I inherited her name. But other than that, I knew nothing about her, or about Rovno,” she said, using the city’s pre-war Polish name. In Rivne, Oz-Salzberger was presented by the local Jewish community, whose members had read “A Tale” in Russian on photocopied pages painstakingly xeroxed by a woman who had sent her own beloved copy to friends in Germany, with handmade gifts inspired by her family’s story. Oz-Salzberger thanked them profusely, clearly touched, and promised to send them copies of the book. Oz himself has never visited Rovno, or even Ukraine. He didn’t have to, his daughter said — it existed independently in his imagination. And indeed, Oz-Salzberger said her grandmother’s home was located exactly where her grandfather wrote it was, and that it had a garden in front, just as he’d described it. The next day, as we stood huddled in the cold at the site (vandalized two years previously, and not wholly restored since) where 21,000 of Rivne’s Jews were led, naked and shivering, to be shot in cold blood beside pits dug in advance, Oz-Salzberger read a passage out of her father’s book, asking, as she did the night before, that the “music” of Hebrew not be translated into Russian. And the words worked their magic: though we were no longer in Lviv, the spirit of Limmud was with us, bringing to life the story of one family whose fate, like that of so many others from what was once Galicia, was forever changed by the region’s tumultuous history. And now, with a new conflict on the Russian border, there is a dissipating cohesion of the Ukrainian nation and an uncertain future that threatens to upset the delicate foundations of which their communities and identities are based. But unlike in other eras, Limmud FSU is there, revisiting the past and looking toward the future, to ensure Jewish communal bonds not only remain intact, but grow stronger and stronger.